Many Douglas County students explored the world of computer coding in December as part of the worldwide Hour of Code initiative. Interactive coding tutorials with kid-friendly themes like Star Wars, Minecraft, Dance Party and Dr. Suess’ The Grinch kept students busy problem-solving, collaborating and creating during Computer Science Education Week from Dec. 3-9. 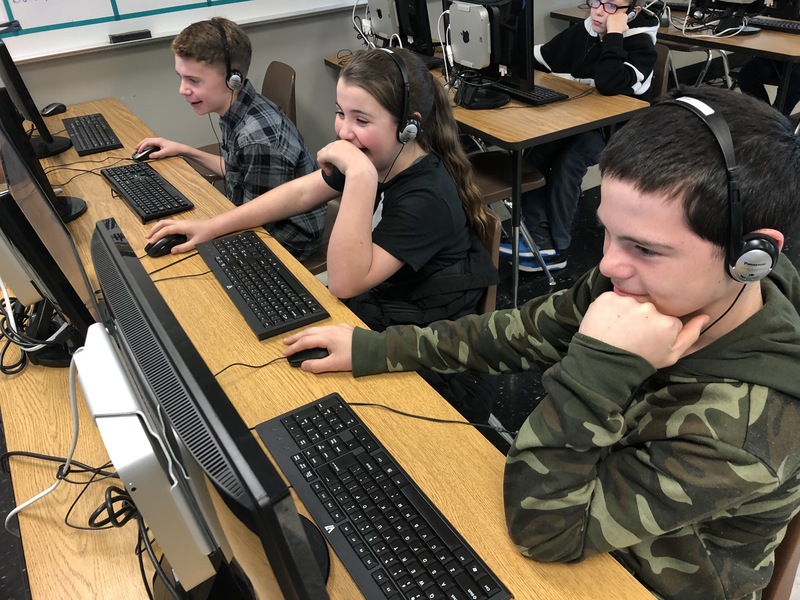 Photo courtesy of Kaitlin Weaver/ Joseph Lane Middle School students in Roseburg participate in Hour of Code. Hour of Code is a global movement that’s intended to introduce students worldwide to computer science. Teachers can find hundreds of one-hour activities in over 48 languages for kindergarten and up. Activities require no experience and can be run on browsers, tablets and smartphones. 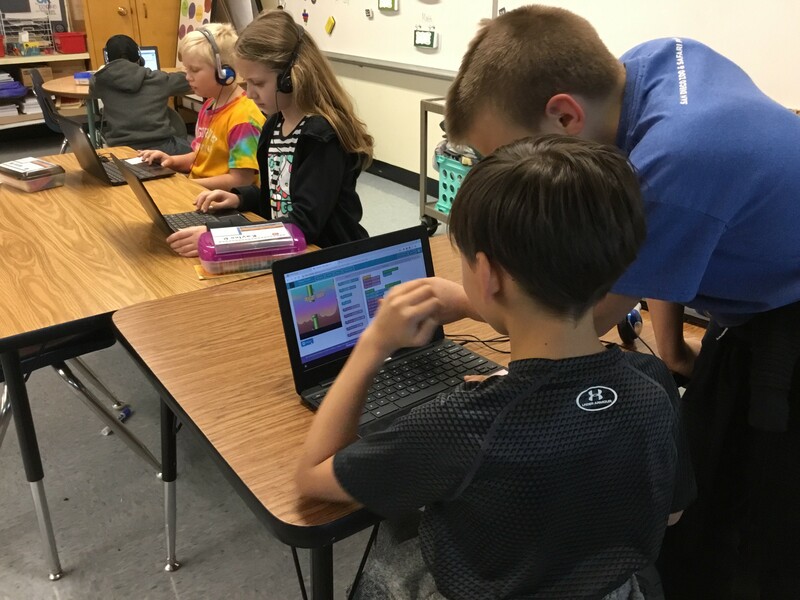 Farwell believes the activity is important for students because it teaches them how to follow directions and problem-solve, along with basic computer skills, like typing, and dragging and dropping. Tabatha Roderick, middle school math and science teacher at Camas Valley Charter School, said she was introduced to Hour of Code and the Code.org organization during her master’s program at Oregon State University and has used it in her classroom for the past three or four years. She said the program provides a great introduction for beginning coders and challenges those students who have some experience in coding. Photo courtesy of Rian Farwell/Winchester Elementary School students learn about computer coding. One of the goals of the Umpqua Valley STEAM Hub, an initiative of Douglas County Partners for Student Success, is to engage students early in STEAM-related classroom activities in hopes of increasing the number of students who earn a post-secondary degree requiring proficiency in STEM fields. Kaitlin Weaver, Joseph Lane Middle School technology teacher and yearbook advisor in Roseburg, said she looks forward each year to Hour of Code. Weaver believes it’s important for today’s youth to have the skills necessary for the technical career opportunities they’ll have to choose from in their futures. “Students gain confidence in themselves, realizing that coding is fun and rewarding,” she said. Educators who missed out on this year’s Hour of Code will be happy to know that the tutorials and programs can be accessed all year long at hourofcode.com. In her eighth-grade STEAM class, Roderick continues coding lessons by having students code and program devices such as Lego EV3 robots, Spheros and Parrot Mambo drones. “It is a unit that students talk about and upcoming students get excited to do in the future,” she said.